The government will provide up to 60,000 yuan (£6,160; $9,800) to buyers of all-electric, "near all-electric" and hydrogen vehicles until 2015. In a statement, the government said the policy was aimed at "accelerating the development of new-energy vehicles, promoting energy saving and reducing air pollution". 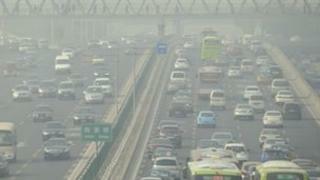 China aims to put five million "new-energy" vehicles on the road by 2020. China's last electric vehicle subsidy programme expired at the end of 2012, but failed to provide a large boost to electric car sales. Analysts say the government needs to include conventional hybrid vehicles, such as Toyota's Prius model, in the subsidy programme for it to gain traction.